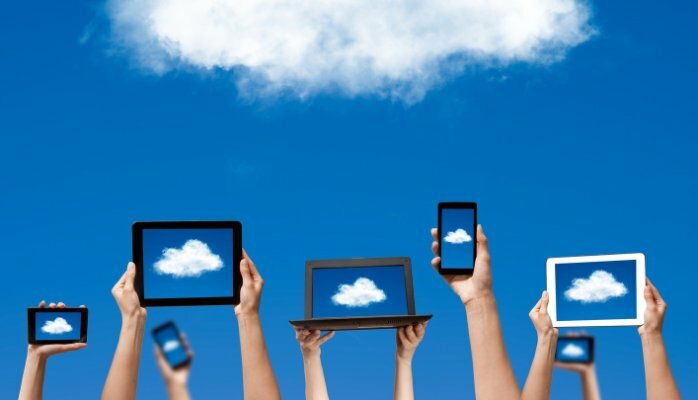 Which cloud based software is the best for my business? As a small business accountant and Virtual CFO, this is one of the most common questions I get from business owners. Not all accounting packages are created equal, but good companies continually seek feedback and upgrade their offerings. Let’s get one thing straight. If you’re not using cloud based accounting, you’re missing out on great new technology to save you time, make your processes efficient, and provide you and your accountant with real time information at your fingertips. The cloud vs desktop debate is non existent in this day and age. 1. Simplicity and ease of use. Design is key to a users experience of the product. MYOB Essentials have designed a product for the non accountant. This product is very easy to understand and to use. The downside to this is that the reporting functions are also limited. For example, you can only print out one payroll report in PDF format, and the Profit & Loss statement cannot be displayed by month across the page (which is useful in analysing trends). Quickbooks Online has great functionality, excellent reporting and an extensive list of features you didn’t know was there. It “hides” the more complex tasks well enough that you won’t be confused, which makes it interesting when you find out what it can do. For example, cost centre reporting is hidden until you activate the “classes”. Once you unlock this, you can see profitability by product line, location, service type, and job just to name a few. Still, this product is easy to use without being too confusing. Compared to Xero and MYOB, the functions are sometimes not where you would logically think they would be. QBO has online training, video’s and support available, and excellent customer service (Intuit was named the 3rd best workplace in Australia in 2015*). Xero is a well refined product, with the user experience in mind. It’s like using Apple compared to Android. It just works and things are where you expect them to be. Functionality wise, Xero and Quickbooks Online are similar, but Xero takes the edge with regards to user experience. Xero also has a wealth of webinar’s and training available online for support. 2. Mobile App and add ons. The mobile app is not just for users on the go. It can also be a great dashboard to monitor your business frequently. Here’s a rundown on what each provider has that is unique to their mobile offering. MYOB – The simplest of mobile apps with only 3 functions. Contacts, Invoicing and Payments. Payments are taken using a MYOB add on and payment terminal.Quickbooks Online – A well designed and functional mobile offering. It does invoicing, quoting, expenses, taking photo’s of receipts, notes, sales receipts, bank reconciliations, P&L & balance sheet reporting, customers, suppliers and recent activity. The Tablet version also has GPS and location based prefilling of invoices, which is useful when invoicing on the go. Payments can be taken using the Paypal card reader and app, or Square. The QBO mobile app is easily the best of the 3. Xero – Create invoices, receipts, upload files & photo’s of receipts, manage contacts and reconcile banking and check bank account balances. Payments can be taken through third party apps such as Paypal, Square and Ezidebit. The accounting software packages are built to do bookkeeping as its primary function. However, with software developments and upgrades, they can do much more than that. Some have additional features that you can use to run your business such as inventory tracking, timesheets and quoting. There are other providers with apps designed to specialise in one particular thing. Whether it be ecommerce, inventory, stock, customer relationship management, detailed business reporting just to name a few, the accounting package should be flexible enough to integrate with them. At the time of writing, Xero has over 400 add ons in the marketplace, QBO has 138 in the app store, and MYOB has 22 certified add ons. A certain app may be the deciding factor on which accounting software to use, as it is much more integral in running the business than the accounting side. Inventory management, ecommerce, timesheets, POS systems and job quoting are a few that place high importance on the apps. Most of the app providers have free trials, and this is certainly an area to invest in if you are a highly system or procedure based business. For small business owners, this is probably the biggest factor. Value is not just about being the cheapest. It’s about making your job easier and cutting out the “working in your business” time, to enable you to work “on your business”. It’s also about providing the business owner with tools to monitor the business whenever and where ever they are.I have a client that used to spend roughly 2-3 hours per night preparing job quotes, timesheets and invoicing, by using a job costing software that integrated into a desktop accounting system. Besides being “clunky” with the import and export of data between the two systems, the computer hard drive failed and it was the end of this arrangement. By putting them a clould based accounting system, they not only cut the time down to 1/2 hour processing each night, but quotes, invoices, expenses and payments can now be done at a customers location. This not only speeds up the process and efficiency of the admin work, it has also increased the acceptance rate of customers which in turn increased revenue. The “value” proposition here is much more than just a mere cost saving. Be sure to look at the package offerings when comparing price. Usually the number of employees for payroll determines the cost of a package. In terms of price, Quickbooks online is roughly half the cost of the other two offerings. When you factor in the functionality, it’s a clear standout in this category. The above example is a business that uses QBO.The next cheapest package is MYOB essentials, which is in between the cost of the other two. However, compared to the offerings and mobile apps of the other two software, it has the worst value offering. Users are currently unable to take photos of receipts and store it in the cloud!Xero might be the most expensive, but the comparison should be on the product offerings. Because QBO and Xero have similar functions, and I cannot justify such a large difference in price. MYOB – 2 packages available, differentiated by payroll. $35 per month with one employee or $45 per month with unlimited employees. QBO – 3 packages. $15, $25 and $35 per month, but have discounts for the first year of around 10%-30%. All packages includes payroll for 10 employees. You can purchase the basic package and upgrade later for additional functionality. Xero – $25, $50 & $60. Higher packages available include more payroll. The basic package has payroll for one employee only. Packages can also be upgraded. 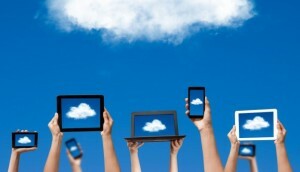 These 3 cloud based accounting programs do the job. The products are continually being developed with a lot of research and feedback being put into it. What’s good now, may not be the case a few years from now. MYOB Essentials is a simple software, made for non accountants. It’s quite costly for what you get, but it does the job. It’s strength and shortfall lies in its simplicity. Xero is an advanced product with the user in mind. It’s easy to use, and has a great range of functions, reports and add ons. Quickbooks Online has a great product offering, excellent mobile app, great support and is the best value of the lot. For these reasons, it’s my top pick of the bunch. There are other software providers out there, some of which are even free. However, these 3 are chosen based on market share, Australian compliance with GST and payroll, and company reputation (who would feel safe inputting banking details in an unknown and free software). Richie has 15+ years experience in Public Practice, being trained as a Chartered Accountant in one of the largest 2nd Tier accounting firms in Australia. Experience also includes working in management positions in Medium to Large ASX Listed Companies. Recent experience includes working as a Group Financial Controller in medium size business going through the ASX listing process. Richie can offer big company management and reporting experience, to small & medium businesses. Richie has a passion for small business start ups, helping clients grow from humble beginnings. See our small business start up page to see how your business can benefit.